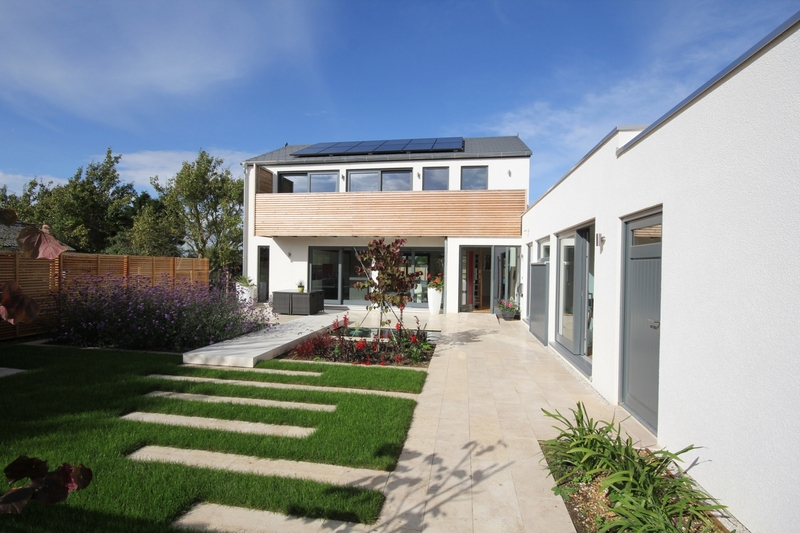 A family home on the ouskirts of Cambridge designed to be very low energy, and built using the German Meisterstueck building system, with Cowper Griffith LLP. The design replaced an extant planning permission for an ordinary chalet style house on a greenfield site. 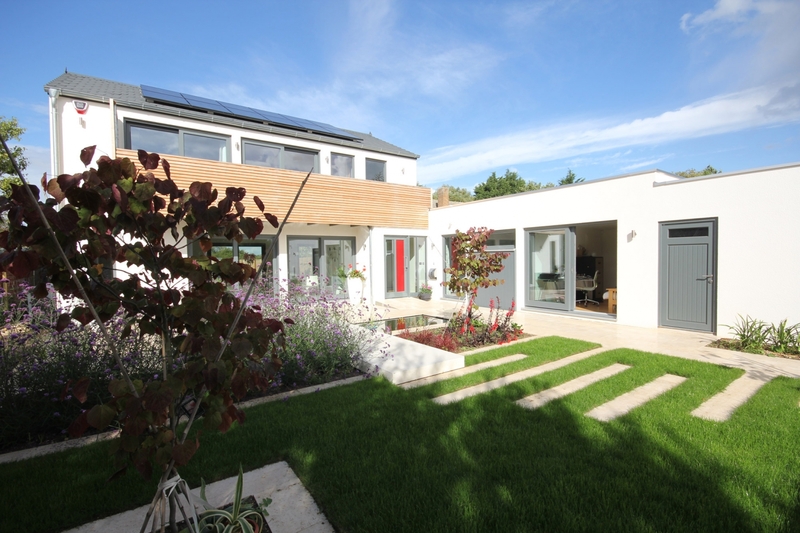 Accommodation is arranged back to front on the site, around a south-west facing courtyard garden, therefore maximising the available solar energy. When coupled with highly insulated and air-tight timber frame contruction, the primary energy demand is hugely reduced. The rooftop photovoltaic installation provides power for the Heat Recovery Ventilation System, with excess energy contributing to hot water generation. A wildflower roof to the single storey wing will provide thermal mass to mediate the internal temperature, and boost biodiversity on the site. The design was then developed by German prefabrication specialists Meisterstueck, subsequently enabling the house to be constructed in under 6 months. 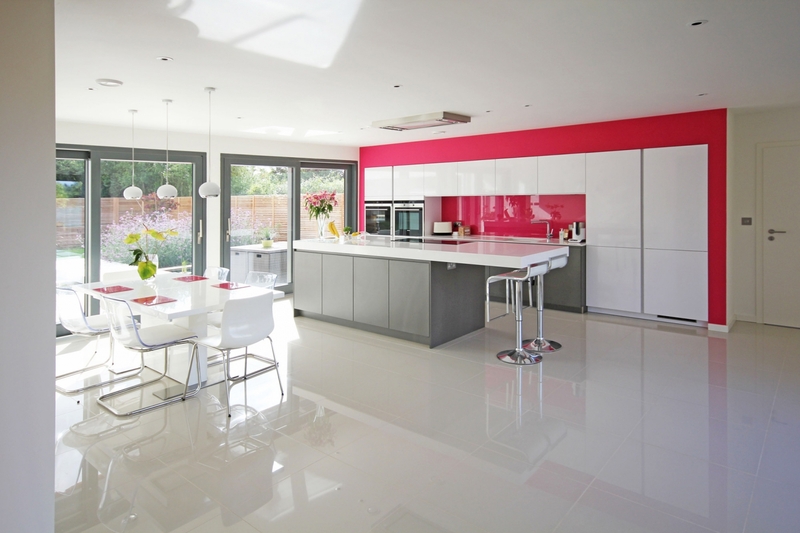 In October 2013, the house was featured on the More4 television programme ‘Building the Dream’. Build It magazine featured a seven page spread on the house in their August 2014 edition, and again in their Feb 2015 guide to Package Homes.